"The EU have consistently implied that a long A50 extension is contingent on either a general election or second referendum. I'm increasingly of the view that both will happen this year." We're approaching Brexit D-Day once again, with the UK scheduled to leave the EU on Friday at 11pm, with no agreement yet in place. This may seem counterintuitive given the deadlock in Westminster but the imminent developments will, one way or another, provide some clarity. Numerous long-running betting markets will soon be resolved and there could be a domino effect. If the Betfair signals are right, leaving this Friday on WTO terms is highly unlikely. A No Deal Brexit at any time in 2019 is available to back at [6.2], equivalent to a 17% chance. Whilst I do not believe no deal will happen, these odds have trading potential. These are dramatic, unpredictable days in Westminster and the all-important EU summit will ramp stress levels further. 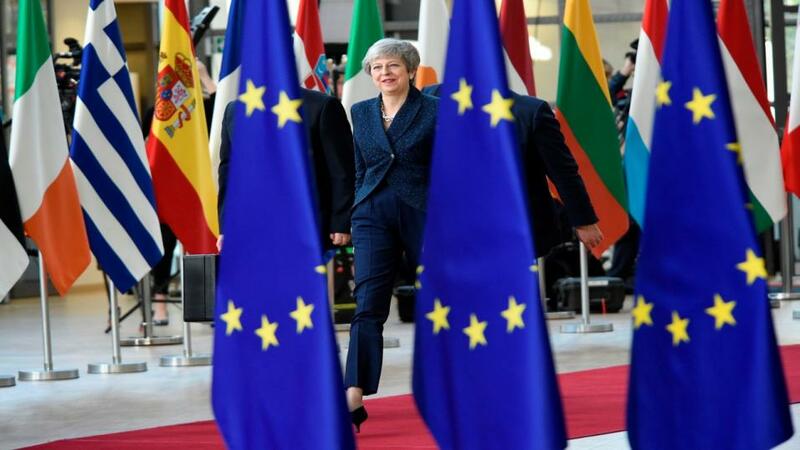 Unless Theresa May can somehow demonstrate that her Withdrawal Agreement will imminently win despite three resounding losses, she will need to ask the EU for a long extension to Article 50. Leaders like Donald Tusk have strongly implied they are open to that but a unilateral decision cannot be taken for granted. Regardless of whether they are sustained, there will be objections. The other 27 national leaders are fighting Euro elections and playing hardball on Brexit is, in some cases, an unavoidable tactic. Nigel Farage has been lobbying right-wing populist allies to veto the extension. Vladimir Putin may well be doing the same. Italy and Hungary have precisely the type of pro-Kremlin regimes that the EU fears are intent on destruction from within. When Article 50 was initially extended, the preceding 48 hours were awash with frenzied media speculation and the odds about leaving on time market temporarily crashed. I can envisage the same thing happening in the days ahead, let alone throughout the course of 2019 if an imminent resolution cannot be found. Indeed, if the ongoing May/Corbyn talks don't produce agreement, no deal will be back in play. If the Withdrawal Agreement dies, it would likely become the default position of Tory MPs and their next leader. It could be a general election commitment or referendum question. So, what of those talks? As ever betting on politics involves forming judgements about sincerity. Neither May nor Corbyn had much choice in at least considering an alliance, but both know it is toxic to their supporters. Nobody will be surprised if they break down amid acrimony later this week. There are, nevertheless, some plausible deals. If the government could somehow produce a legally binding commitment to a customs union, that would get most Labour MPs onside. As explained last week, accepting a confirmatory referendum would have a good chance of getting through parliament. Both positions, however, are fundamentally toxic to the Tory party. The leadership contest is effectively underway and taking either would be poisonous to any candidates. So too is participating in Euro elections in which they would likely be hammered by purer Brexiter parties. In the days ahead, the following scenarios are plausible. A cross-party deal will be agreed to secure the Withdrawal Agreement, probably subject to a confirmatory referendum. If so, May is gone the moment it is passed, if not before. April-June is [3.7] to be her Exit Date. ERG backbencher Mark Francois has already asked the 1922 Committee to stage an informal vote of confidence in the PM on Wednesday. The co-ordinated tranche of Cabinet resignations that has felt inevitable for months finally materialises. In this scenario, the chance of no deal rises. Alternatively, May prioritises party unity, collapses the talks and takes it right to the line. MPs are faced with a stark choice - accept her deal, face no deal, or Revoke A50. Such moves would probably be with a view towards an imminent general election. Perhaps to be held the same day as the Euro and council elections - thus avoiding the ultimate disaster of a low, protest-driven, turnout. Whether by this means or later under a new Tory leader, I remain bullish about a General Election in 2019 at [2.4]. Although subject to change on Thursday, the EU have consistently implied that a long A50 extension is contingent on either a general election or second referendum. I'm increasingly of the view that both will happen this year. In a bizarre twist, it might even turn out possible to make money trading on both, no deal or even not leaving at all. Not Before 2022 is now a [3.8] chance on our Brexit Date market - if the days ahead yield either a long extension or a referendum, those odds will crash. UK to participate in Euro Elections? First to Happen - Brexit/May to leave?